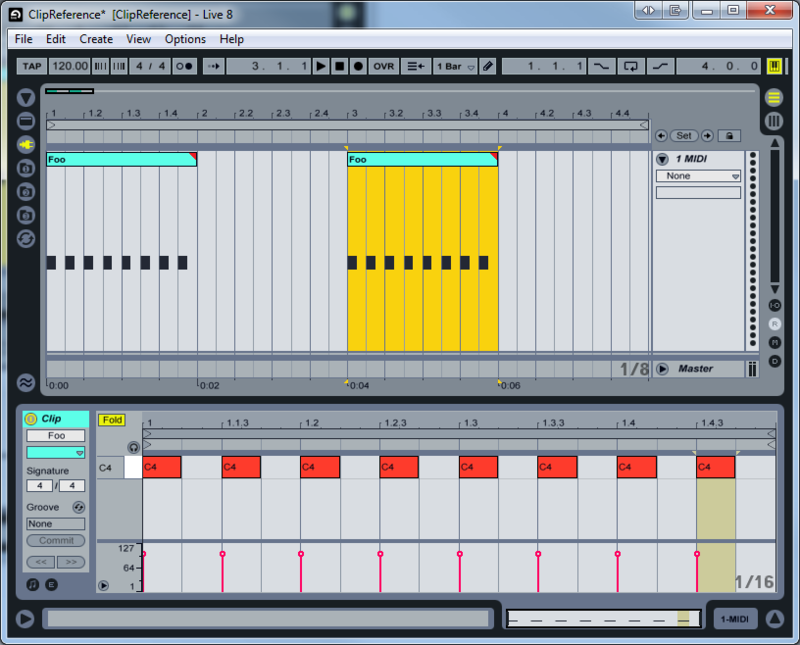 One feature I've wanted in Ableton Live for ages is the ability to create a clip 'shortcut'. This feature would let you create a copy of a clip that, when modified, actually modifies the original clip and reflects it across the project to all clip shortcuts. This would be INCREDIBLY powerful and would be a HUGE timesaver. 3. User removes some MIDI notes from the second "Foo" clip. These changes are reflected immediately in the first clip. - This would work between session/arrangement view, and between different tracks. - Clip 'shortcuts' could be turned into regular clips by consolidating them. Does anyone else think this would be a killer feature? Sorry to bump this again, but I didn't get any responses the first time. Does anyone else think this would be a great feature addition? In my eyes it would give Ableton Live reusable clips (akin to patterns in Trackers/MOD files), but without any of the clunky sequencing issues. I'd love to hear from an Ableton developer about the viability of this - I'm a video game software engineer so we can talk shop. +1 for this. It would be an awesome feature. yes amazing, like FL studio's patterns but not like in FL studio that you get lost trying to remember which pattern number it was, it is just there, multiple instance of the clip, perfect! Bumpity bump! This would be a killer unique selling point for the next version.